EzyDog offers several styles of collar in sizes for all dogs so you can pick the best option for your dog. Each collar provides different features, functions and colors so you will be able to find the perfect match. The iconic Neo Collar is a neoprene collar that is perfect for dogs that are in and out of the water. It offers the best in comfort, style and durability. Neoprene is a non-porous material, so it does not absorb oils the way that a traditional collar can. It stays cleaner and fresher longer and it dries very quickly. It is reflective and includes a stainless steel rust-proof d-ring as well as a dedicated loop to attach an ID Tag to. This collar is a great match for active dogs. The Checkmate Collar is very unique. It is similar to a martingale style collar, but it has a very low profile fit and it does not require re-sizing with each wear. Just fit the collar like you would any traditional collar, but you have the ability “check” when necessary for training. This limited slip training collar features reflective trim and a stainless steel d-ring. The super strong buckle closure makes slipping over the head obsolete. 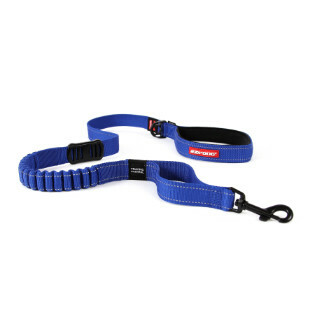 This collar is great for dogs that try to slip out of a collar or to be used in conjunction with training. 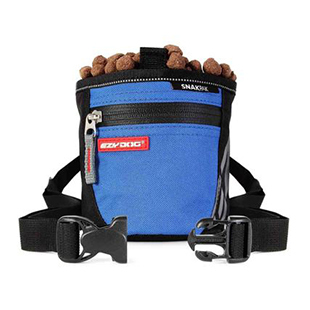 The Double Up Collar features 2 stainless steel d-rings for leash attachment. This equals double the strength and double the security with little to no pressure on the buckle. It is non-rusting and easy to clean. It is also reflective for night time safety. EzyDog collars are quite simply unique and amazing! Check them out for your dog of any size.